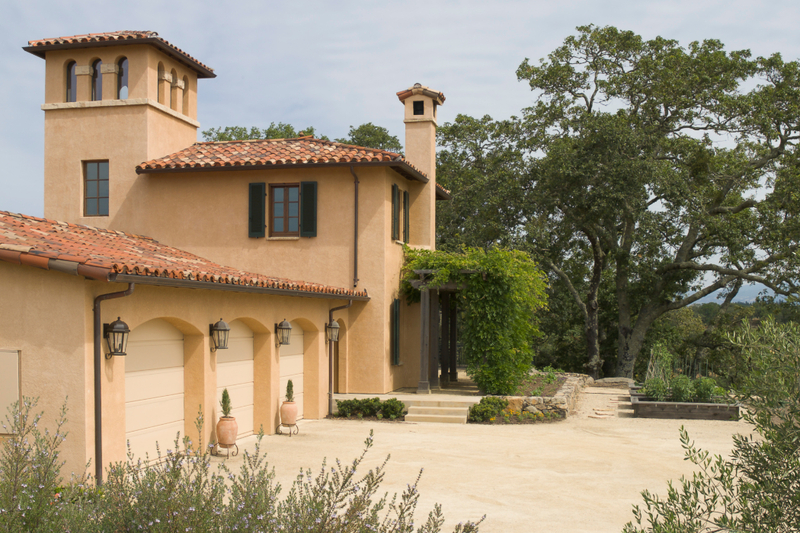 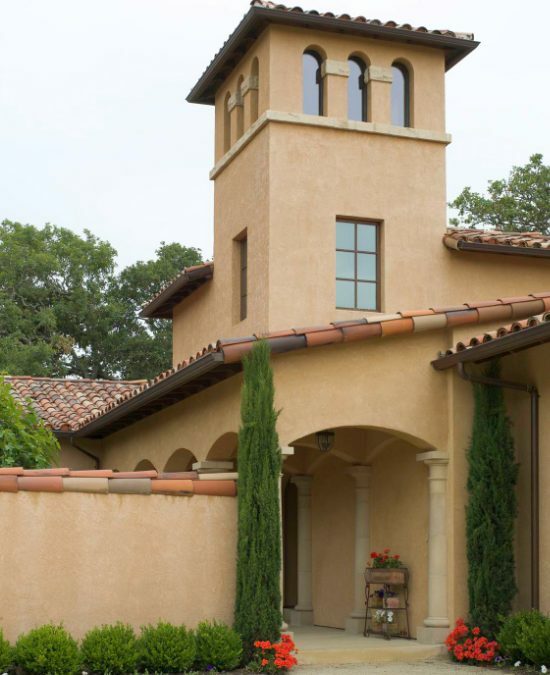 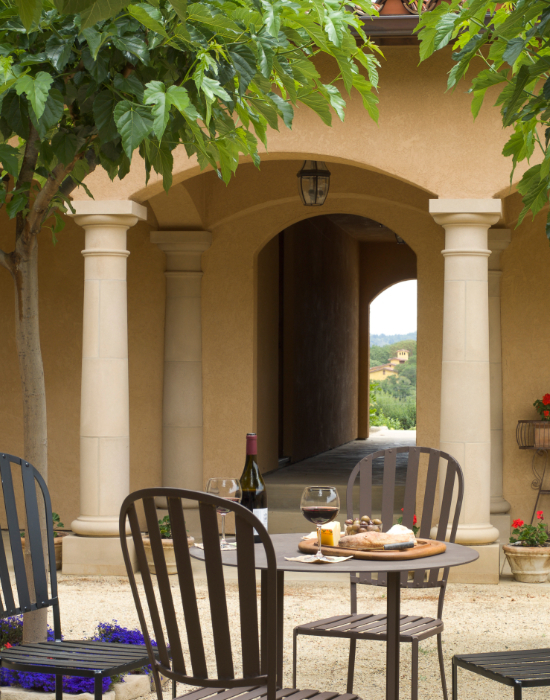 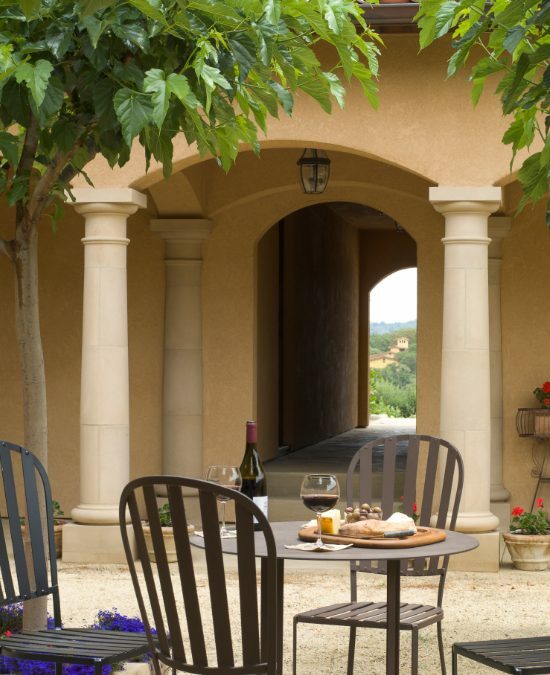 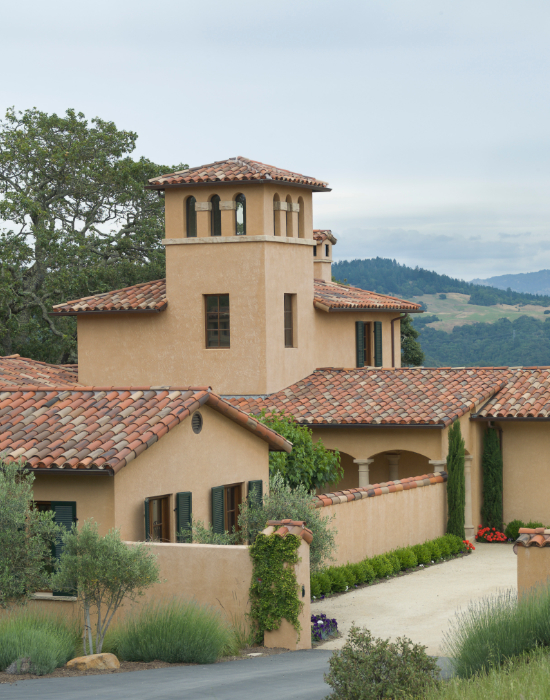 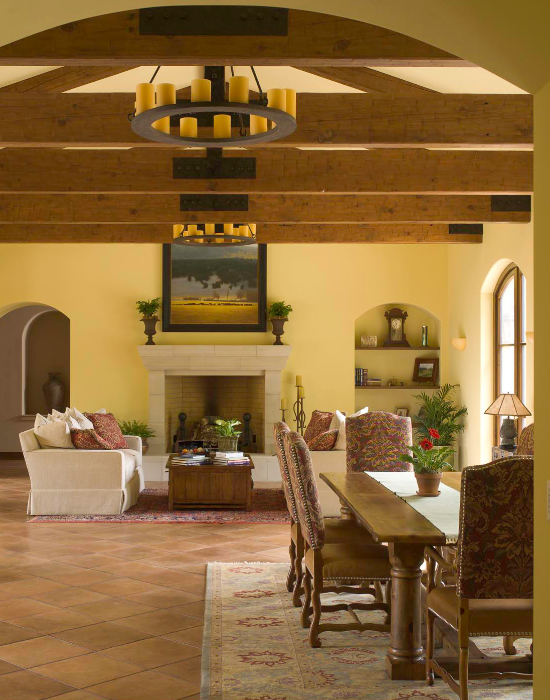 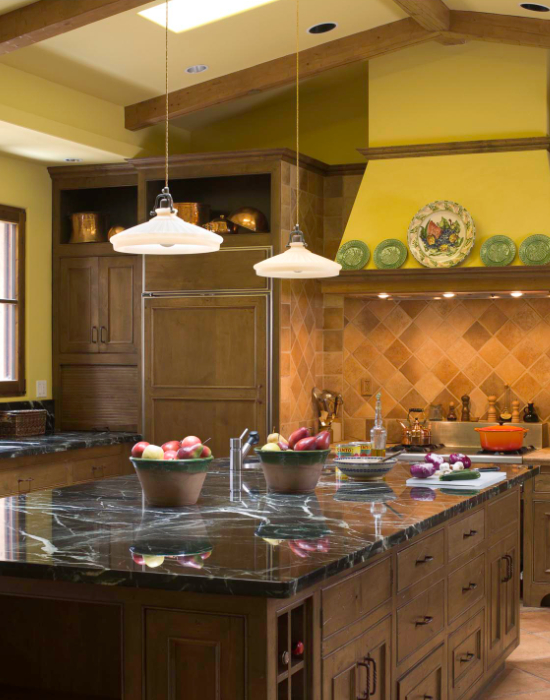 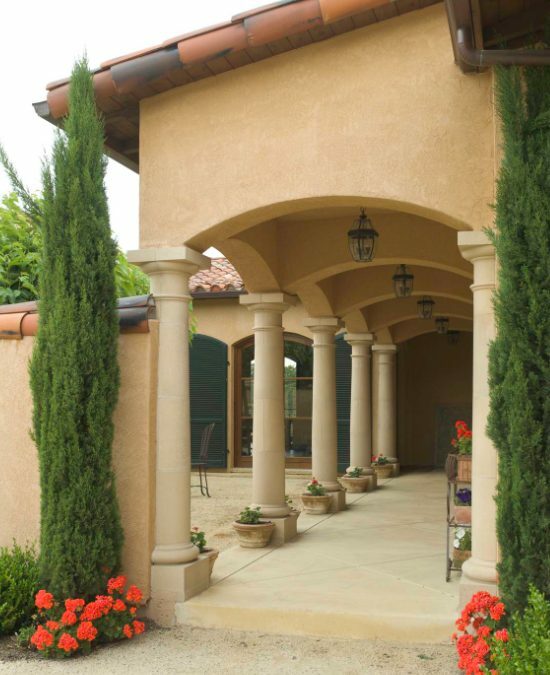 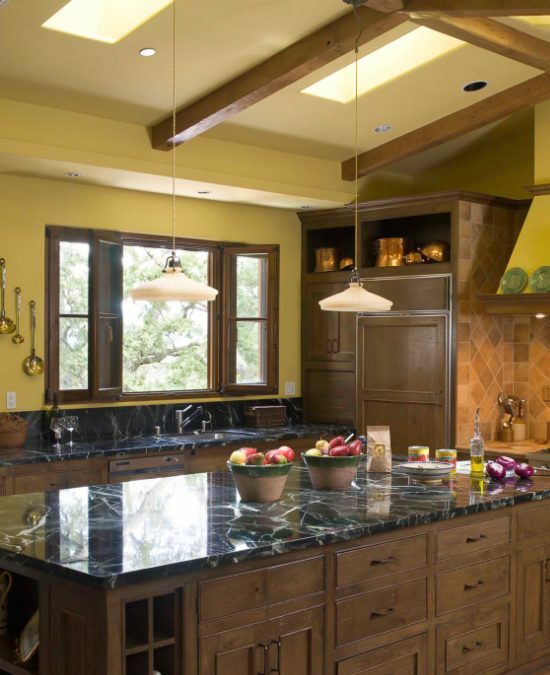 Tuscan Home - Harrison Woodfield Architects, Inc. 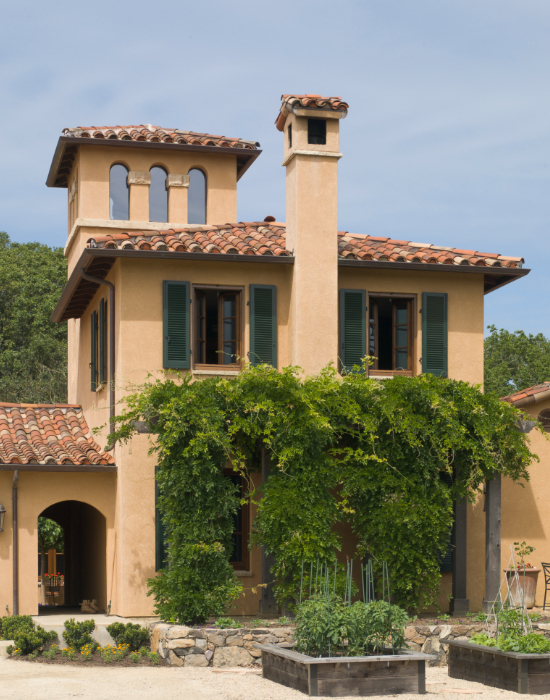 The objective of this family home was to transport the owners to a small Italian village, complete with an intimate piazza, fountain and bell tower. 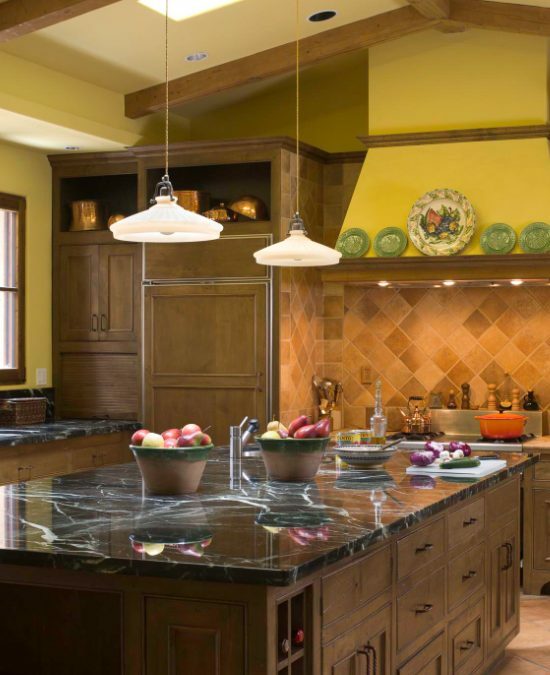 The kitchen is beautifully detailed with marble counters and multiple display spaces and ergonomically designed to inspire delicious Italian dishes which the owners prepare and love. 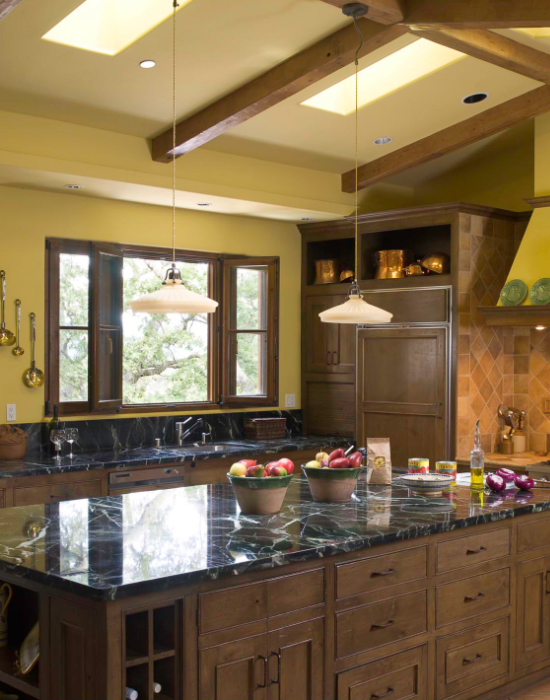 A pantry and wine cellar are accessible from the kitchen. 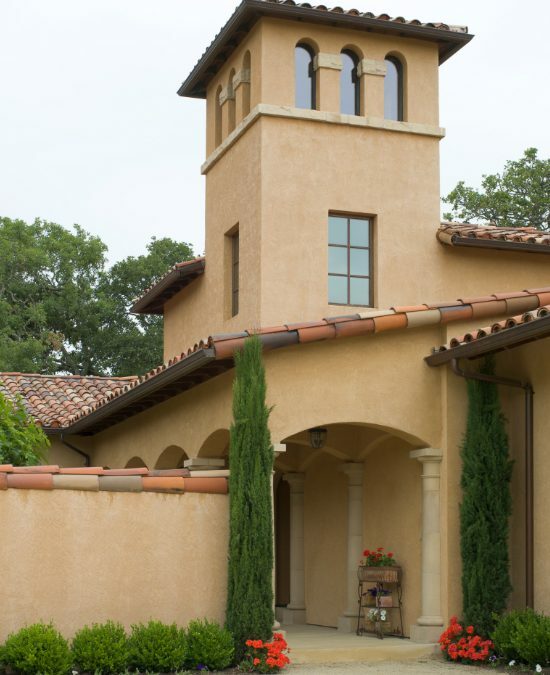 The “bell tower” acts as an air conditioning system, drawing hot summer air from the house and venting it mechanically through the lath ceiling. 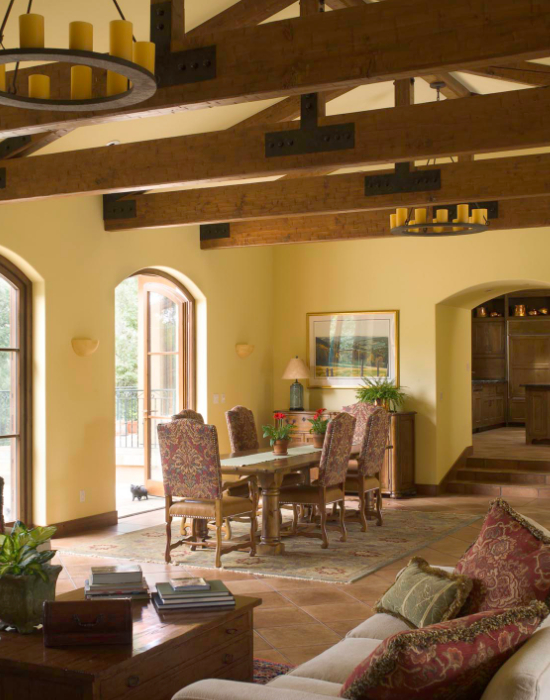 Light streams dramatically through the vertical windows, bathing the center of the house in sunlight. 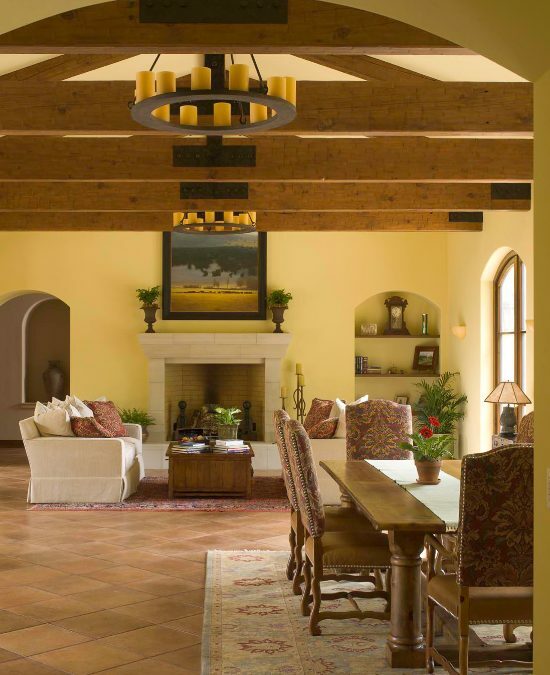 A great room with dining and living areas flows into a music alcove and entry vestibule. 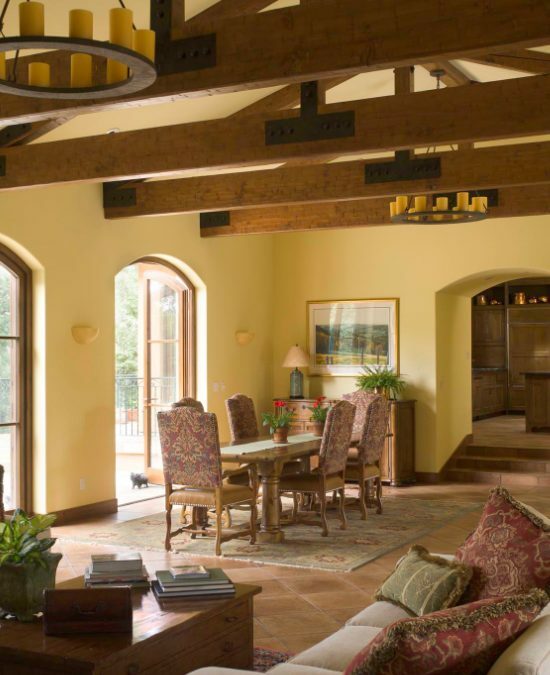 Tall French doors and windows flank both sides of the room, opening into the crushed granite courtyard, and the slate-covered back terrace. 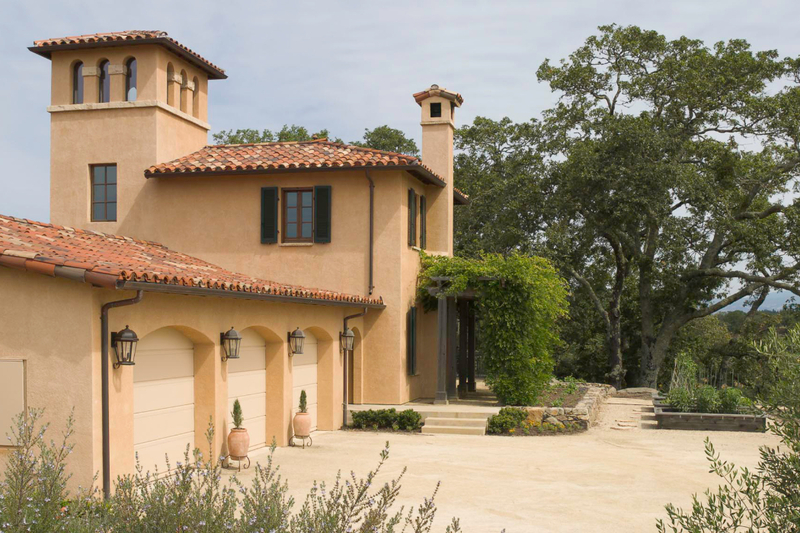 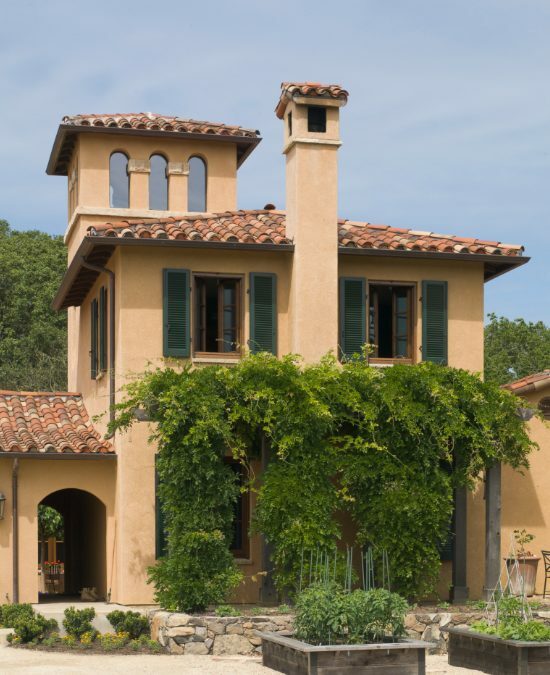 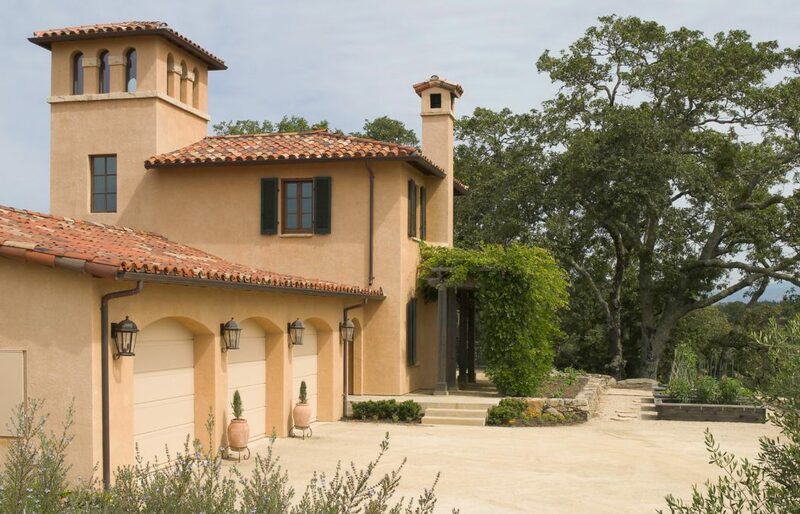 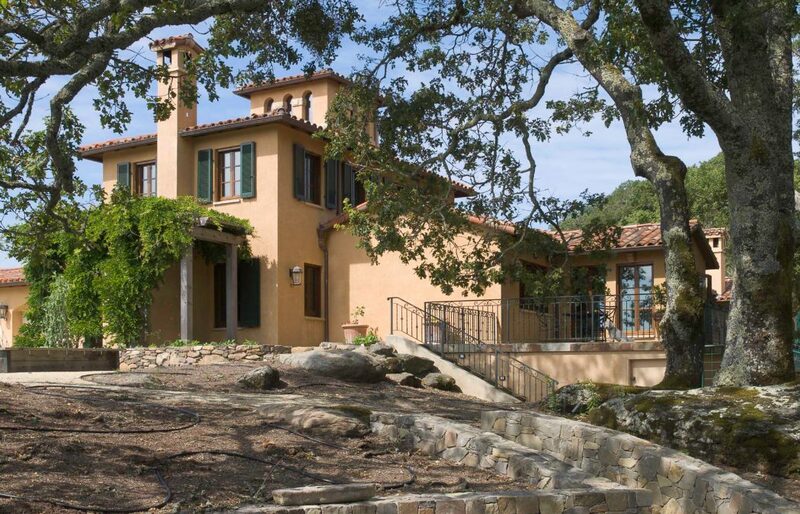 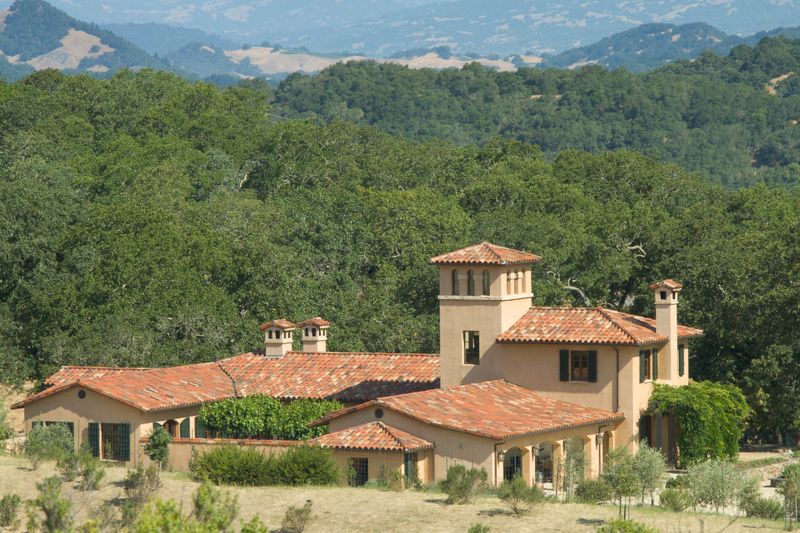 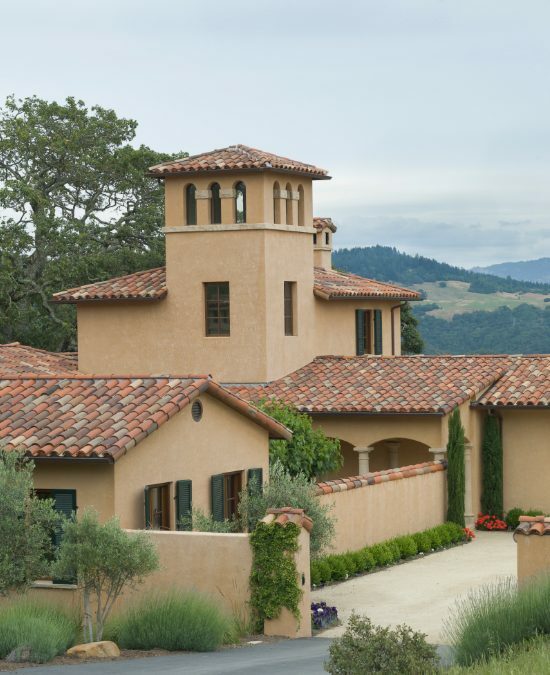 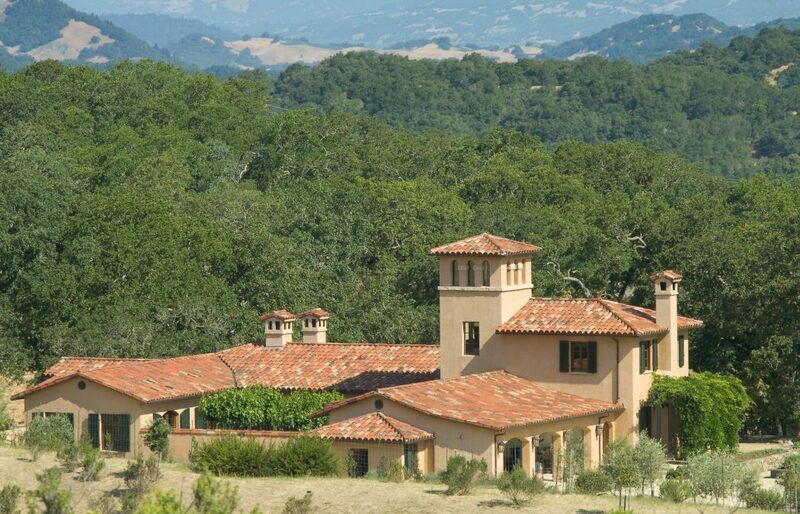 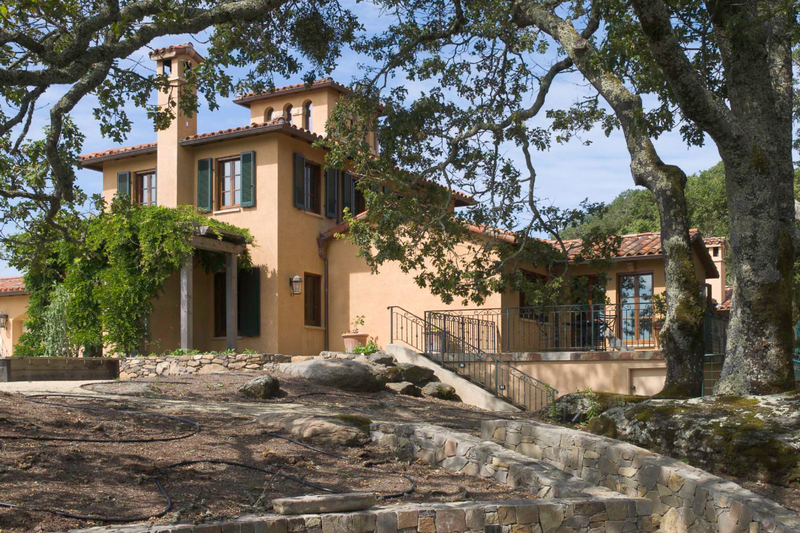 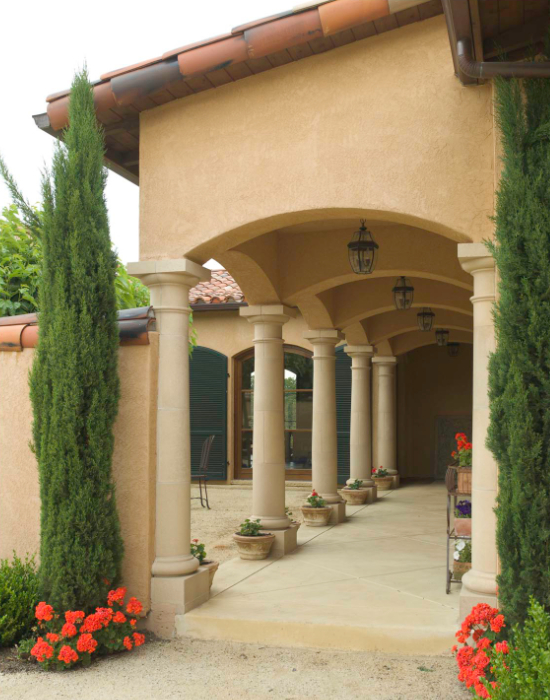 The Mediterranean character is carried through with thick walls, slab on grade construction with radiant heating, tile floors throughout, and Italian windows and shutters.